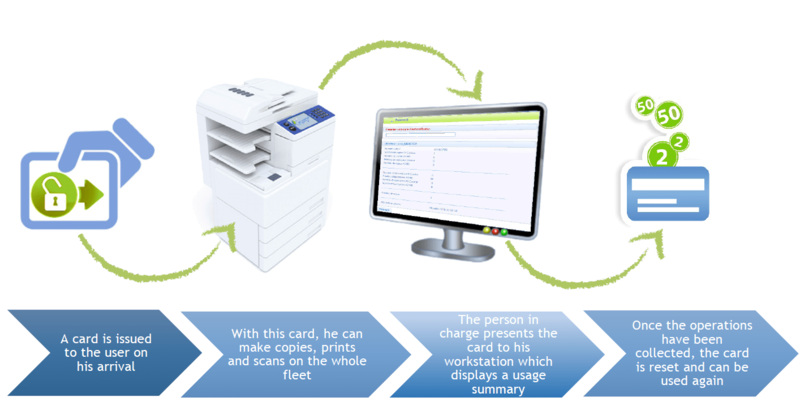 The copy shop module is an option of Gespage solution providing copy, print and scan in self-service. It is designed to improve the invoicing to crossing users in copy shops. – Management of the solution from a web interface. – Self-service use of the copiers, printers and MFPs. – Authentication of the users by contactless cards. 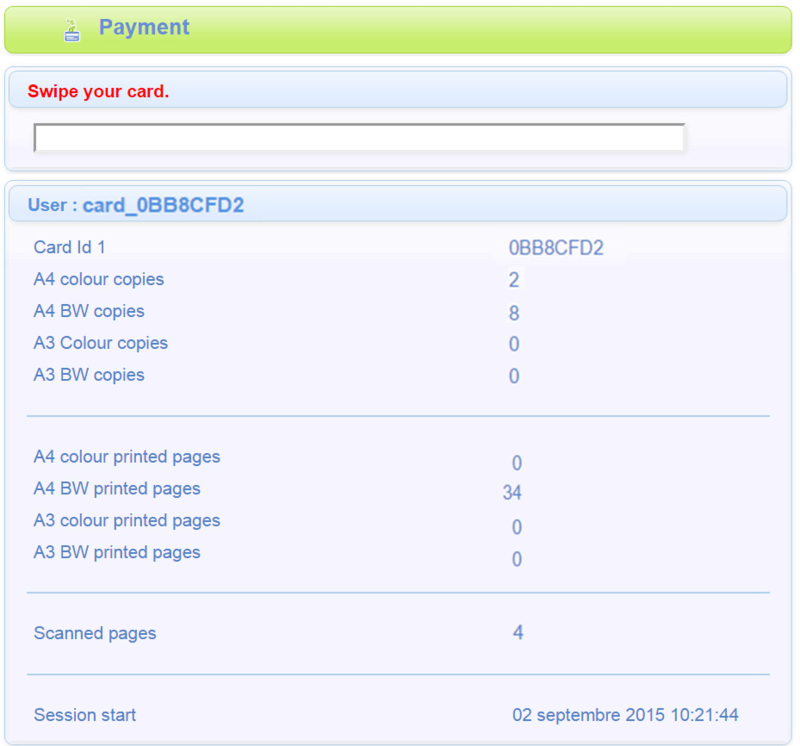 – Cards recorded with a credit are also available for regular users. – Easier invoicing to crossing users.